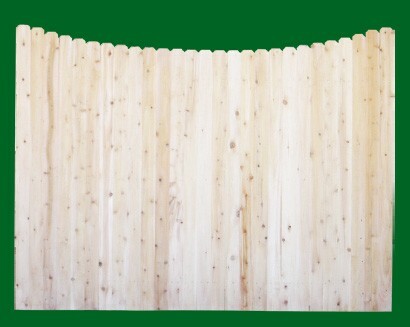 “A wood privacy fence for the homeowner with an artistic vision.” Eastern White Cedar shaped fence panels come in a variety of curves and arches. These exceptional wood fence styles will enable you to express your individuality and add an attractive addition to your home. 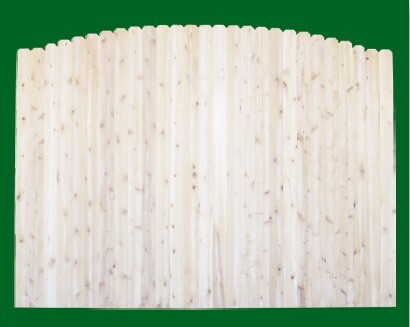 These curved wood fence sections are available in heights from 3 to 8 feet high. 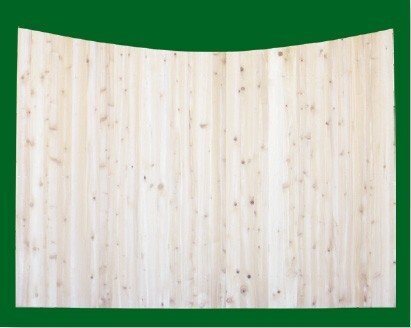 Standard back rails are Spruce or Cedar is available as an option. Eastern Whie Cedar products areonly available within the delivery area! Almost all of Eastern White Cedar Brand Wood Fence Products are available with multiple options to help custom taylor your fence for the most attractive installation. Whether it’s Custom Toppers, Ornate Post Caps and Finials, Unique Board Styles or Classic Board Edging you will have no trouble finding the perfect match for your individual setting. 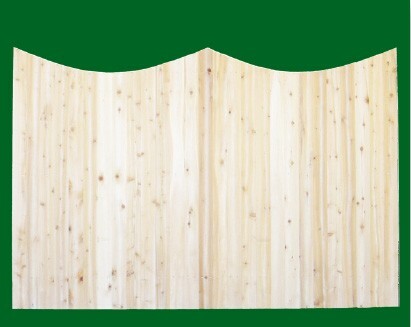 You can select any of the fifteen board top shapes or pick from the five board edges to distinguish your fence from any other in the neighborhood. Eastern White Cedar Brand Wood Fence Posts are available with a variety of decorative tops to individualize your fence for any outdoor living space. Posts sizes are 4x4; 5x5; or 6x6 and can be ordered in either Cedar or ACQ Treated material. 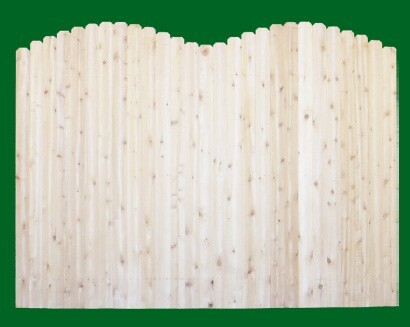 Cedar Post Caps provide an attractive way to protect your posts while providing personality to the fence. 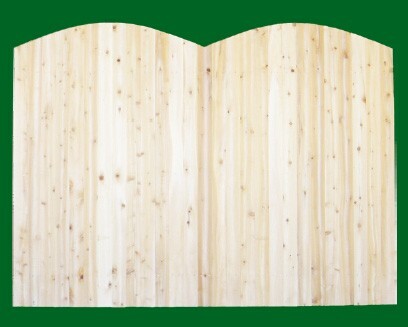 Made from the finest cedar available, they are the perfect accent for any installation. Finials use only the higest grade kiln-dried lumber – the stock is planed, layered and glued under high pressure using ISOSET™ crosslinked polymerized adheasive. The laminated construction insures a stable and lasting product which will endure even the most punishing enviornments. 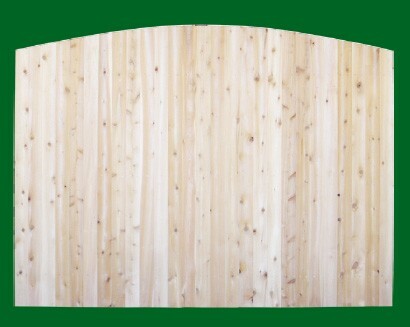 The perfect accent to any wooden fence. These post finials are available in standard sizes of 4, 5, 6, and 8 inches.